Our newest addition to the stable, the Co-Motion Periscope. It can fit a stoker, within seconds, anywhere from 4’2″ to 6’2″ because the seat tube and bullhorn “periscope”. I have the 2000 Trek 5200 USPS model with just about all of the same bells and whistles as yours! Love the road bike. Have you considered a tri bike too? Cervelo P2 is my tri choice. Happy riding! I’ve considered one, yes, but that was early on. I’ve got a pair of bolt on aero bars that will do just fine – and I paid a whole $115 for them. I suppose if I had a couple more good years I might entertain the thought again though I would probably sink the cash into a new Madone and call it good. Tri bikes are too sport specific and don’t play well with others. I’ve been invited to ride in the advanced group at my LBS and I can’t if I go with a tri bike. I’m a social exerciser so I have to consider that. Those Cervelo’s are nice. I hope you get it and ride the wheels off. Happy riding to you as well. Love your bikes. I have a Trek OCLV5200 from 1996 (the first time they came out in carbon fibre here in Australia). I replaced the group set with the group set off my 2006 Giant OCR3, which is now just a frame sitting my my garage. I also have a bitsa – it’s a recycled bike from a place called Bicycle Revolution here in Brisbane where they recycle old junk bikes into working machines. It’s a rigid frame MTB with no brand markings because they were painted over when the bike was recycled. Thanks, the 5200’s are definitely nice rides. Riding is the best – I just wish I’d figured this out ten years ago. Love the road rig, I noticed you originally had an Al Cdale. How does the CF Trek compare to that, as in stiffness, efficiency of power transfer wise? I’m toying with the idea of buying a carbon frame to replace my steel 2000 Bianchi Veloce but I’m reluctant to give up the ride quality of CrMo. I figure the extra weight will just make me stronger. Great blog though, so glad I stumbled upon this. I love the CF Trek compared to the AL C’Dale, they’re not even in the same ballpark. I ride some rough roads and the Trek makes them bearable. The AL frame was so stiff that riding fast over even chip seal road was demoralizing. I’ve got one stretch in particular, uphill for 3/4’s of a mile on chip seal asphalt – on the Trek I can manage 19-20 mph, 16-17 was flying on the C’Dale. Conversely, the stiffness in acceleration is only barely perceptably better with the AL frame. In the end I’m faster, happier and much more comfortable on the Trek. The C’Dale is still in the family though. It’s now my wife’s starter bike. It’s great for that purpose but the carbon fiber frame is much faster. Nice … hubs wants us to get two specialized Rubie (sp) … ready for a new bike. Love my cross trainer, but still …. love a long ride bike that is more like my Cervello. 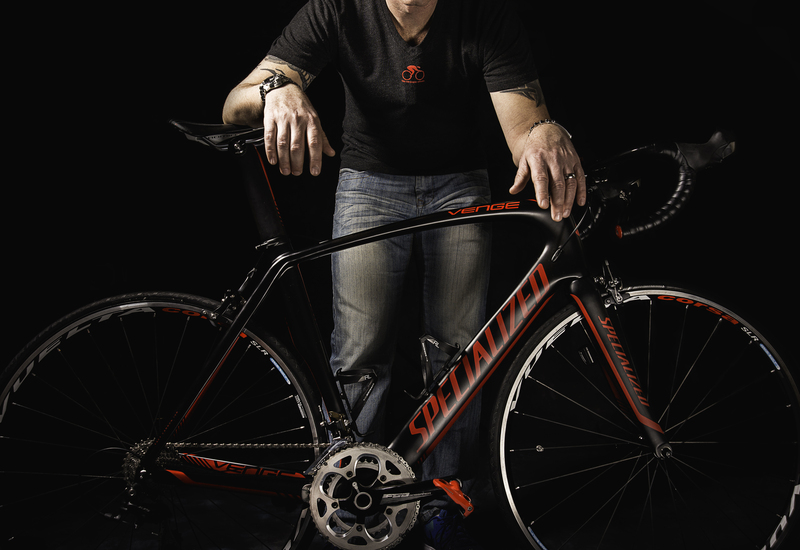 Ruby or Roubaix – Specialized makes them both. Nice bikes. Snazzy lookin’ stable of bikes you have there! Thanks! 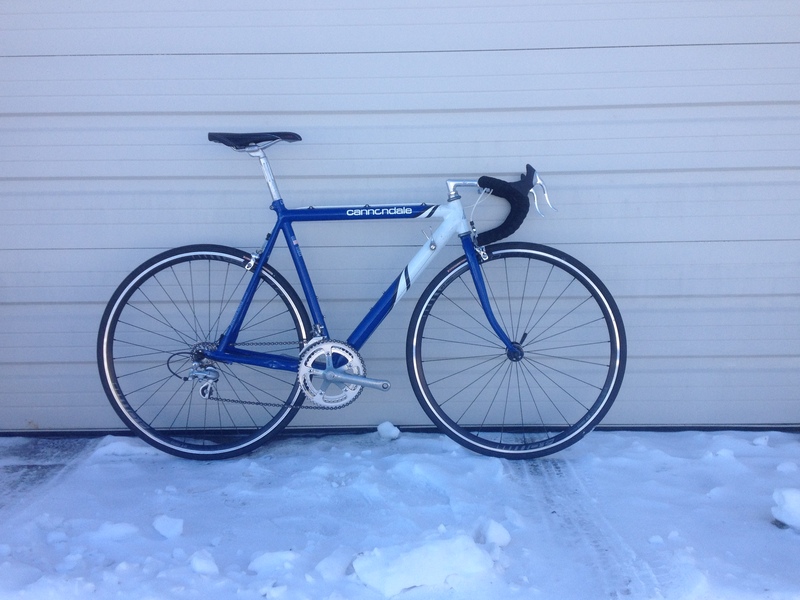 I’m picking up a 2010 Specialized Secteur next week… And I’ve got an old Cannondale Criterium that I’m going to turn into a fixie. I will be investing in a bike. A mountain bike to be exact. I want to use it for cross training tool and transportation. Good choice. Mountain bikes are great machines, for cross training and tooling about. Enjoy! Thanks man. They’re great bikes the 5200’s. Thanks for dropping by, I’ll be sure to stop by yours as well. Thank you, I LOVE that bike. Very comfortable, a lot more than the message boards give credit for. I have been shopping for a new carbon fiber road bike, after riding my old Trek 370 steel road men’s bike since 1999. Wondering if I can get your opinion, as I am seeking input from knowledgeable cyclists before making a purchase, plus your Trek background. I am looking at the Trek Domane 4.7 WSD, 54cm. The frame specs seem identical to the men’s frame, with only handlebar and saddle WSD differences. It seems Trek now has the WSD Silque, with some framing geometry differences. Trying to determine if the WSD specs really make a difference. The WSD Domane 4.7 fits well and rides great, Ultegra. I cannot find a Silque in my size in the area to test ride. Any thoughts about the WSD models? I am 5’8″ and a bit tall for typical WSD designs, except I really need narrower handlebars. Thanks for your posts/ blogs – great perspectives and riding encouragement! Okay, the part that you can’t find one to test ride is a blessing and curse at the same time… You’ll get to order one with the proper width handlebar. Now, if memory serves, the Silque is the women’s version of the Domane (I’ve heard good things about The Silque btw and it looks like a really sharp bike). The first thing to look at is HOW you’ll be riding. Are you more into sport or comfort? Are you riding on rough roads? If you answered yes and/or comfort, then the Silque is the way to go. If you’re only into speed go with a Madone WSD. I opted for my Venge over the advice of others to go with a Roubaix because I didn’t want a squishy bike – I wanted the speed and stability if a racer. That’s where I come out on it. Okay, I’m taking this question seriously, which may be a mistake… Or not. 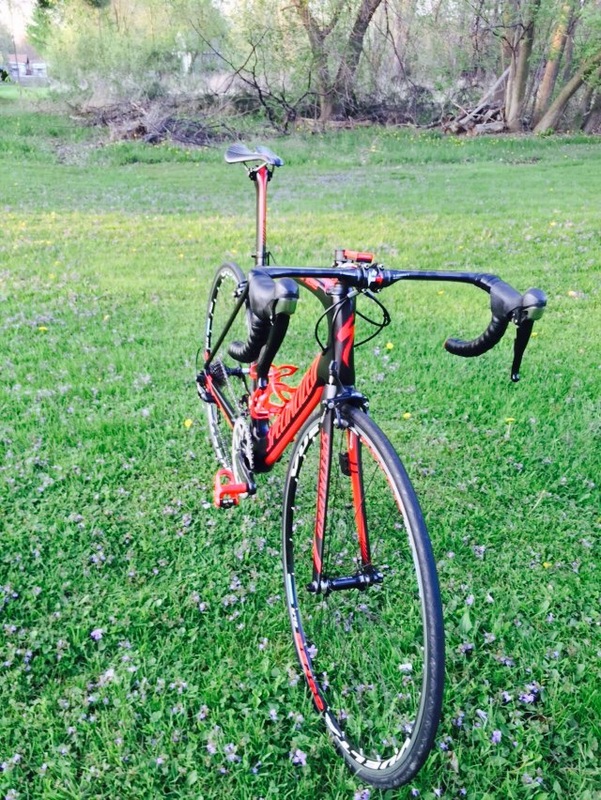 The first bike is my aero race bike. It’s so amazing I store it in my living room. The red Trek is my rain bike. If there’s a chance of rain, I ride that bike instead. It’s a nice bike but not as nice as the Venge. The Trek mountain bike is for mud and nasty conditions (and is a spare for when my wife’s best friend visits. The black mountain bike is just because and the Cannondale is my wife’s rain bike). Apparently you have never heard the answer to the question “What is the ideal number of bikes a rider should own” The answer is N + 1 with N being the number he/she currently owns. Love the Canondale. Just bought a 1973 Bianchi frame – looking forward to doing a build job on that. Steel is real! Thanks man. 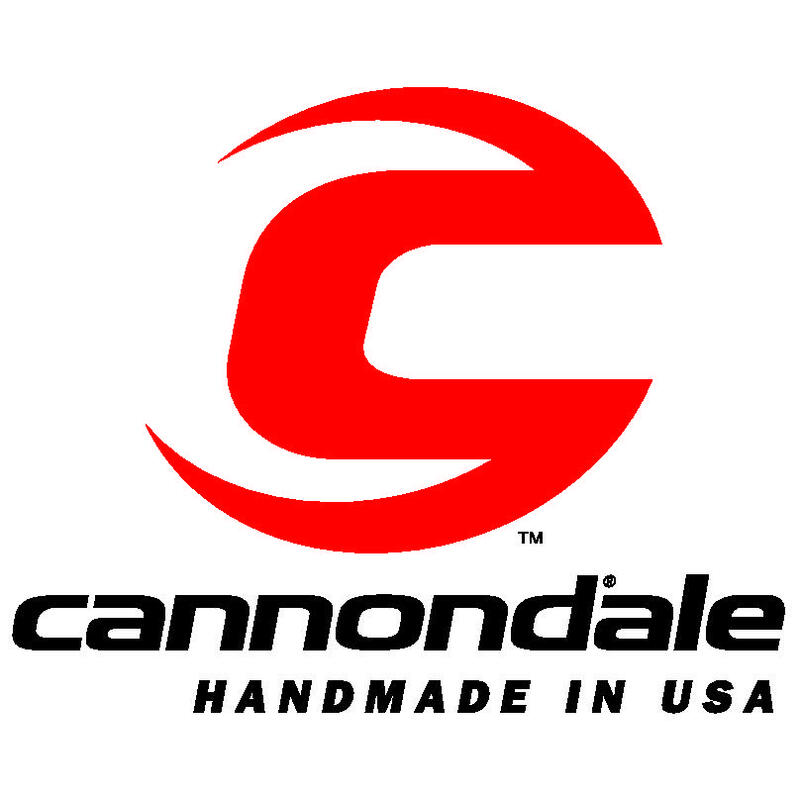 I like the Cannondale for short rides but it’s too stiff for long rides. You there have too many bikes, I can help you take the Venge away if you like.. LOL .. maybe store it in my shed for a year or two. Clear some space for you for the cold winter. You classify your bikes like how I classify my shoes, Each has it owns purpose.. ok bikes too. This post is a very nice idea. I think I will do it on my blog, too. Thanks! That’s an interesting question. In all of my posts on this blog about my bike, I’ve never had anyone ask me that. It’s impertinent unless you’re the exact same size, build and flexibility as I am. Im just curious and i think where the same height but maybe a little heaver than you and as i myself is a proud owner of the Venge and a size 56. Nice. Mine is a 56 and I believe it’s a 110 mm stem. Saddle height, I haven’t a clue. I had the BG Fit done on it and it’s been there since. I don’t transfer heights from that bike to any of my other bikes, I set them all up by how they feel in comparison to the Venge so I’ve never bothered to measure… I just use the heel method, heels on the spindles, pedal backwards, when the leg is straight without rocking the hips, the saddle is high enough. From there I ride it and adjust to feel. Sorry I can’t be more helpful there. I understand, i was only fitted by my LBS(free) after the Venge purchase, it has a 100mm, -6degree stem with 35mm aero spacer below it, tried to slam it but im not so comfortable ( maybe age factor:)) as for my saddle i did use the heel to pedal spindle you mentioned and just did a little adjustment while doing a long ride to get the right spot, now its at 74.5cm bb to saddle top. Anyway, thanks for the replies and info’s been following your cycling adventures and tips by the way! Want to share a photo of my Venge but i cant attached it here. Send it to BDJ.fitrecovery@gmail.com. I’ll post it here, maybe start that as a regular segment for Venge Owners… Now that might be cool! why do cyclists name bicycles? the first bike i rode with a group, the guys named it “the tank.” then, i bought my “entry level,” and they started called it “the beast.” they already have plans to name my third bike, citing my failure to follow along as reason for them to step in and do so. Meh, it’s just fun. I don’t call any of my bikes by their names. They’re the Venge, the Trek and the mountain bike… some people take it a little more seriously than others. 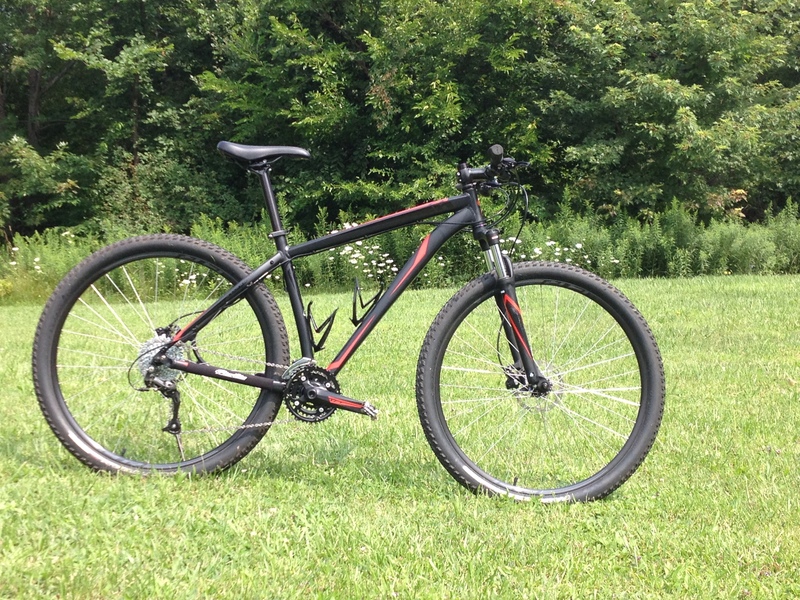 The Co-Motion wins for me….our Trek tandem isn’t in the same league of beauty! Thanks! I do dig the Co-Motion. It’s a perfect family bike with that periscoping rear seat post. In that photo it’s set up for my wife (5’10”). Right now I’ve got it set up for my 10 year-old daughter (4’6″). I was surprised how light it was for being a steel frame too. Tandems are awesome.